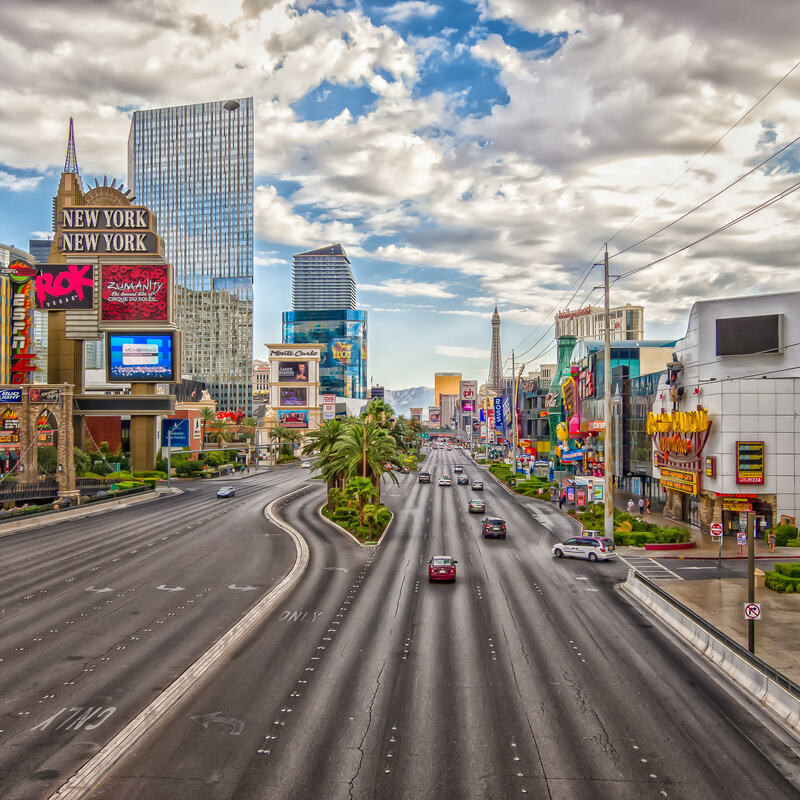 The iconic Las Vegas Strip—also known as Las Vegas Boulevard—stretches northward as seen from a pedestrian bridge between New York New York Hotel & Casino and the MGM Grand. 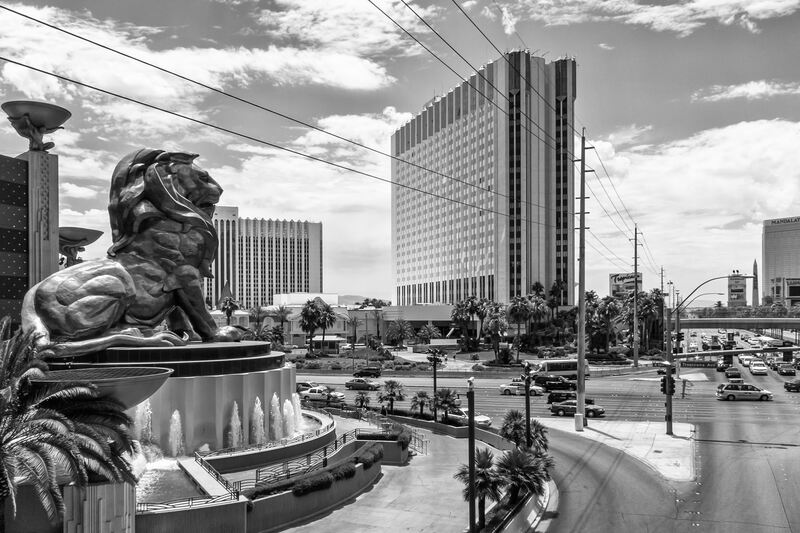 The MGM Grand‘s giant statue of a lion surveys the intersection of Tropicana and The Strip, Las Vegas. 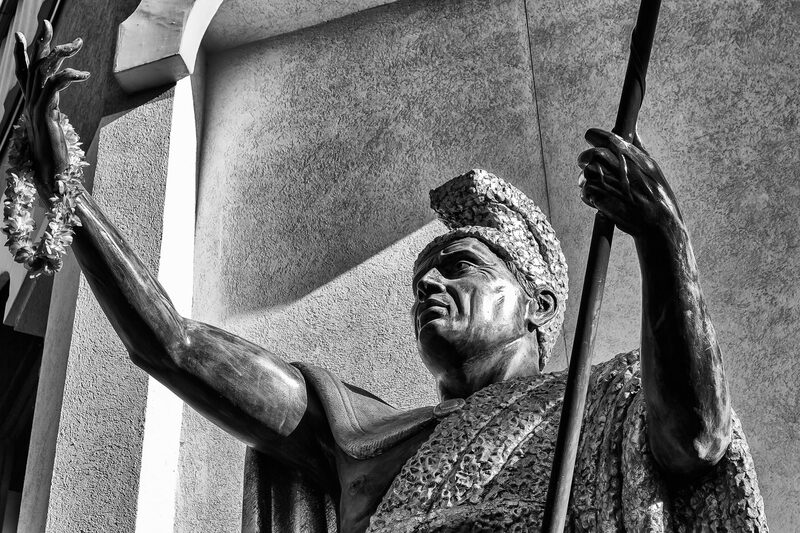 A statue of King Kamehameha at the Hawaiian Marketplace at the MGM Grand, Las Vegas. 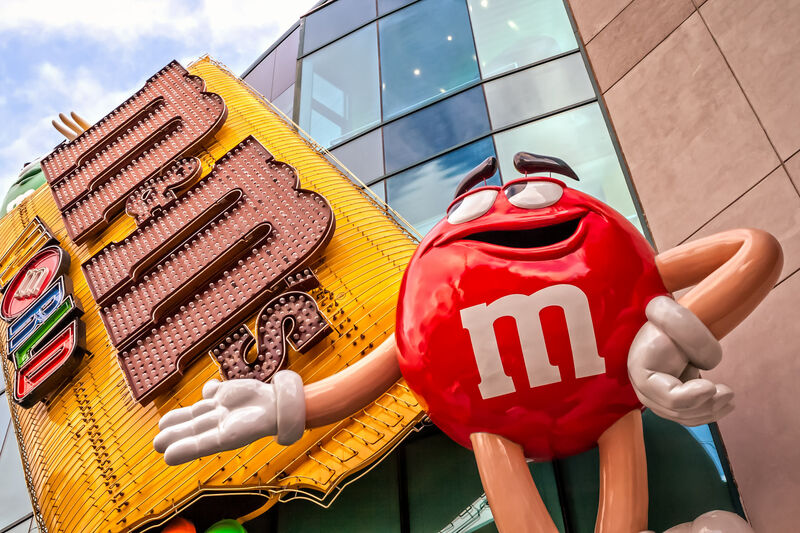 A fibreglass anthropomorphic M&M candy-shaped sign at M&M’s World, Las Vegas. 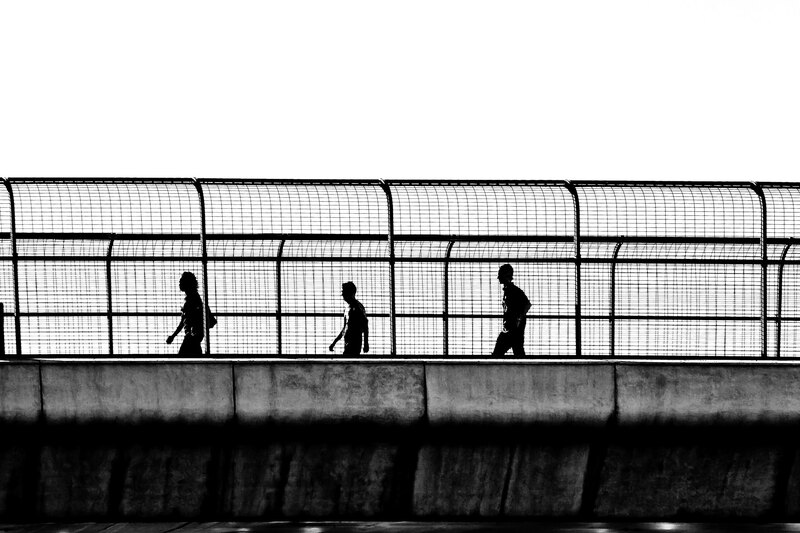 Pedestrians utilize a footbridge at Tropicana Blvd. and Las Vegas Blvd. (The Strip), Las Vegas. 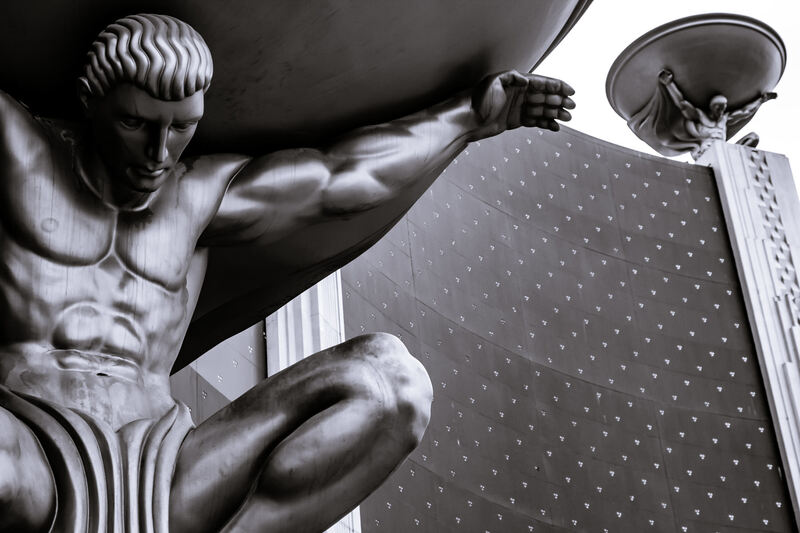 A statue outside of the MGM Grand, Las Vegas. 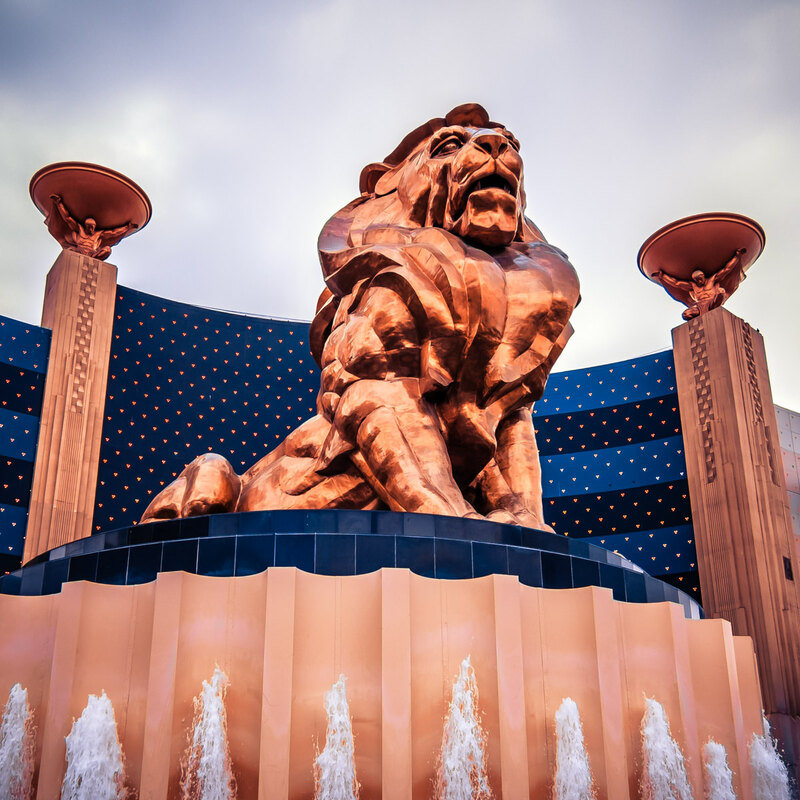 A statue of a lion outside the MGM Grand, Las Vegas. 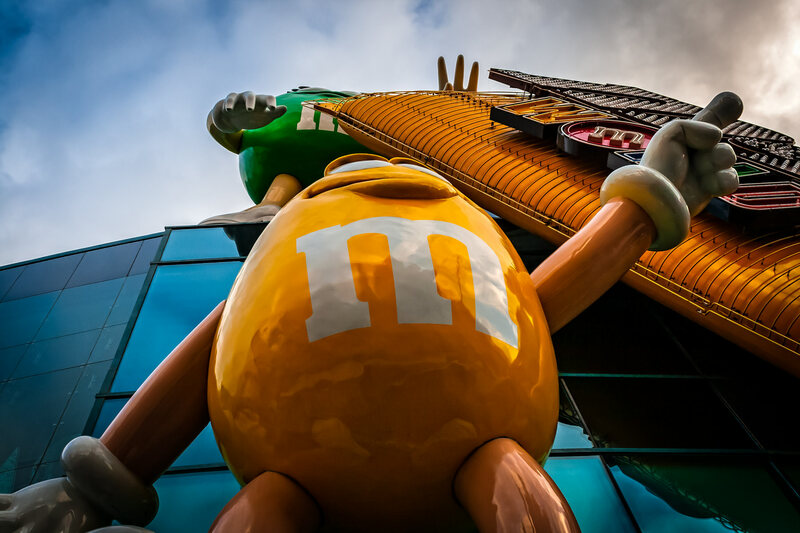 A giant anthropomorphic M&M welcomes visitors to the M&M’s World in Las Vegas.